Why not become a member of The London Society, members receive discounted rates bookings on all events. 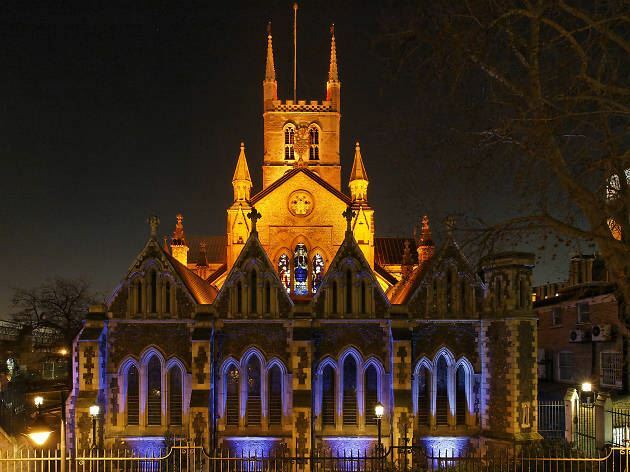 Come and explore over 900 years of history on this London Society candlelit tour of Southwark Cathedral. Discover the stories of the priory of St Mary Overy and the famous London hospital founded on this site. Learn how the contemporaries of Shakespeare served the church and worked in the theatre. Uncover how the industrial age nearly caused the demolition of London’s oldest gothic building! The Cathedral and Collegiate Church of St Saviour and St Mary Overie - Southwark Cathedral - stands at the oldest crossing-point of the River Thames at what was for many centuries the only bridge into the City of London. A verbal tradition passed on to the Elizabethan historian John Stow suggests that the first Christian establishment was a community of nuns in the 7th century, but the first written reference is the mention of a 'minster' in the Domesday Book of 1086. Whether you have never been inside, or know the Cathedral very well, this atmospheric candlelit tour will show you its treasures in - literally - a very different light.